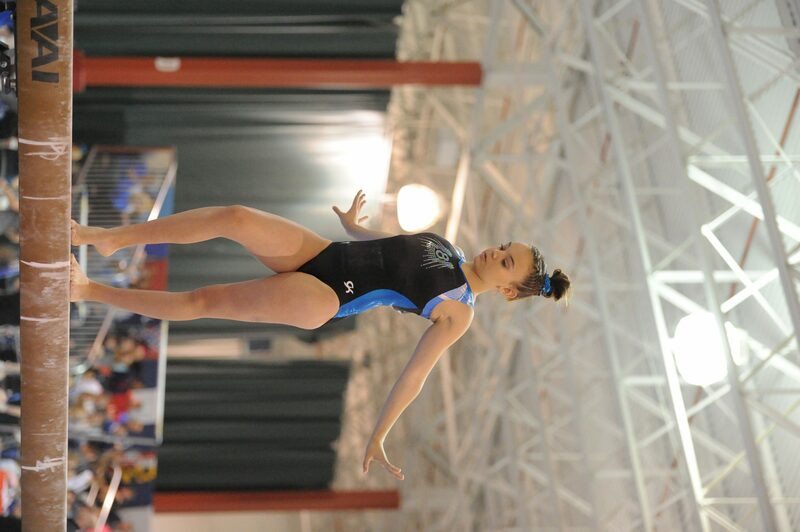 Eleventh-grader Marissa Fontaine continues to rise above her competitors when it comes to competitive gymnastics. She started gymnastics when she was just two years-old at an after-school program with the company Funtastics Gymnastics and Cheerleading. Fontaine began her competitive gymnastics career at age six and is currently in the middle of her tenth season competing. She first started competing at the YMCA in Sarasota from ages seven to ten where she was coached by Brenda Musall. Fontaine then went to Lakewood Ranch Gymnastics where she was coached by David and Laura Parraga until the age of 14. Three years ago, she began competing at the Tampa Bay Turners (TBT), a competitive gymnastics team in St. Petersbug. She is now currently coached by Brad Harris and Diane Amos. Fontaine is a level ten gymnast, which is the highest level in the USA Gymnastics Junior Olympics Program. She practices five hours a day, five days a week. Although her gymnastics does sometimes get in the way of her schoolwork due to her rigorous schedule, Fontaine is still able to manage. “It is a lot to handle because I have five AP classes, but it has taught me a lot of time management that will help me in the near future,” Fontaine said. She continuously excels above her competitors. As a level seven gymnast, she was the regional bar champion and as a level eight gymnast, she was the regional floor champion. Two years in a row, she made the level nine eastern team and was in the top seven in her age group in her region which included eight states. Fontaine was also the state all-around, winner in all events, a level nine champion and the bars state champion. “So I was the first in the state of Florida, and that was really cool,” Fontaine said. 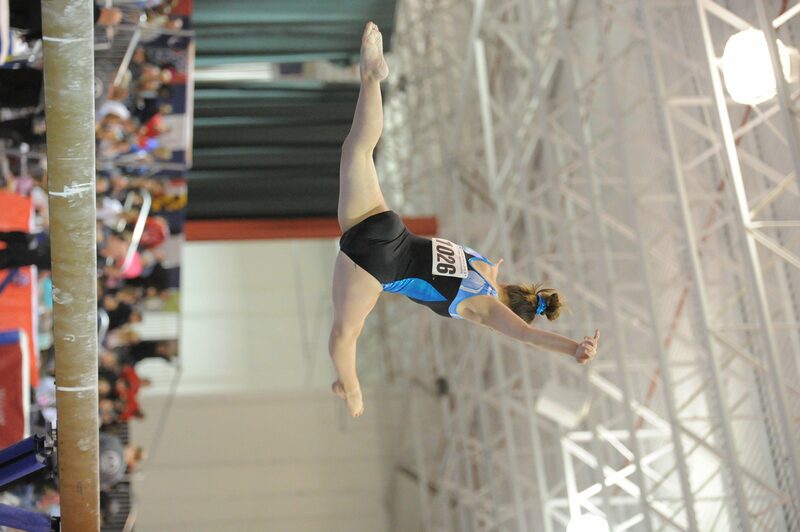 She also placed seventh in the nation for bars as a level nine gymnast. Fontaine’s favorite event is bars and her favorite skill is a Tkatchev, which is named after the Russian gymnast Alexander Tkatchev. It is performed on uneven or high bar, from a handstand to a back giant swing down, tap and releasing to a backward straddle release over the bar to re-grasp. “It is a very smooth skill, which I really like,” she said. Jennifer Fontaine, her mother, is extremely proud of her daughter’s hard work and many accomplishments. “She has worked and trained so hard… throughout the majority of her life. Things have not always come easy but she has pushed through and persevered. She has learned how to deal with difficulty and adversity. she has adapted to new environments, gyms, schools and schedules with grace. She has never stopped pushing herself, even when the goals seem out of reach. She always seems to then just set them higher. Honestly, I could not be more proud of Marissa… not only for everything she has achieved so far but really just for the incredible person she is,” Fontaine’s mother said. For now, Fontaine will continue working her hardest in and outside of the gym to continue excelling as a student-athlete and hopefully get into the college of her dreams.